After a long, tense wait, the final season of Game of Thrones finally premiered on April 14, 2019, with the first episode coming in at just under an hour — despite being packed full of revelations, reunions, and more. The return of Jon Snow, Daenerys Targaryen, the three living Lannisters, and a metric ton more of the show’s characters brought a few answers and even more questions with them. Questions like…did you catch when Mac from It’s Always Sunny in Philadelphia showed up? 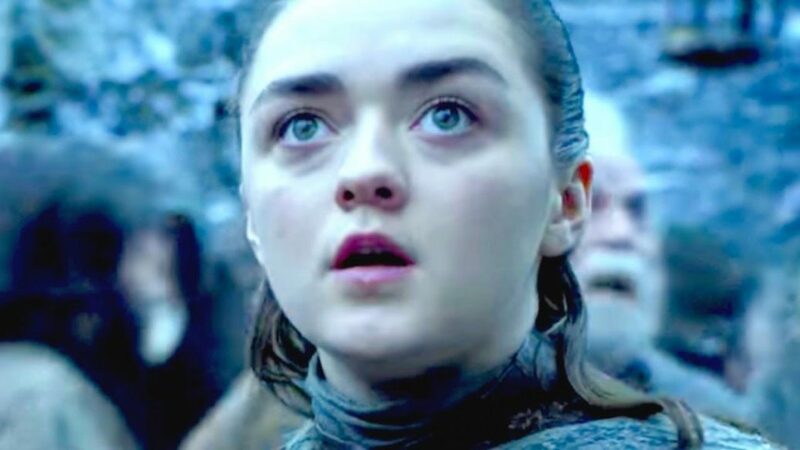 Here’s everything else of importance that happened in the Game of Thrones season premiere — and everything we still want to know for the remaining episodes of the series. The trailers leading up to the premiere offered plenty of shots of Daenerys arriving at Winterfell, and audiences didn’t have to wait long — in the very first shot of the season premiere, a Winterfell boy climbs a tree to see Daenerys’ army arrive, with the Mother of Dragons and her right-hand man, Jon Snow, flanked by dragons, Unsullied, and Dothraki as they arrive at the stronghold of the North. Appropriately for the chilly North, the welcome is less than warm, considering Northerners are instinctively distrustful of any foreigners, especially a new Queen from the far South with two enormous dragons. It isn’t just the townspeople who don’t trust Daenerys. Sansa, Jon’s sister, immediately dislikes the Dragon Queen, who she considers at once naive and arrogant for trusting Cersei to serve as an ally to the North. Whatever Sansa’s attitude might be, it’s clear that Daenerys’ assimilation into the Northern way of life won’t be simple, and will likely be a struggle for the rest of the season. As you might expect, the icy queen looks pretty uncomfortable, sipping a glass of wine as he leaves the room. Last season, audiences heard Cersei tell Jamie she was pregnant with Jaime’s baby. Keep watching the video to see the Game of Thrones final season episode 1 ending explained!